Luis Enrique Rojas Moya I am validating that this deal works as described. 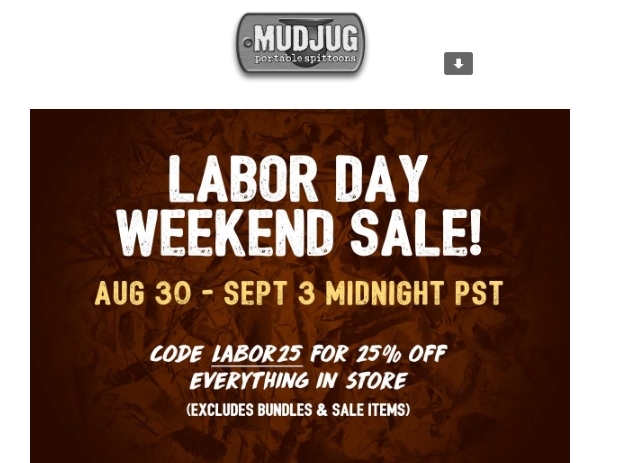 Just apply the coupon code and Get 25% Off Sitewide at Mud Jug. 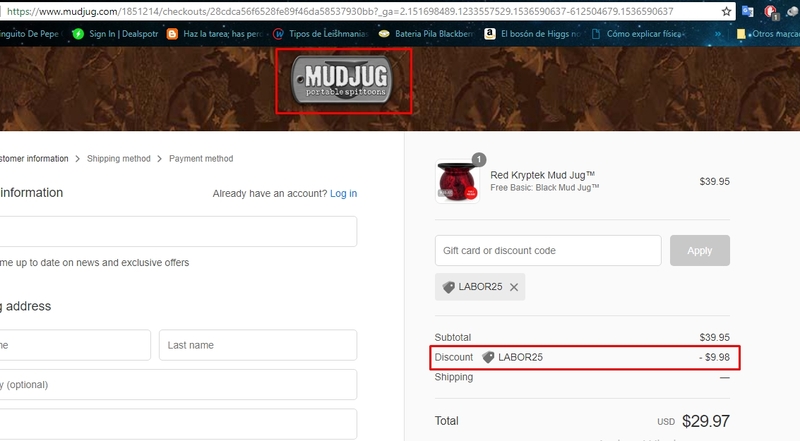 Miguel S I have tested this code and is working as described, place it at the checkout, pick enter and enjoy the discount in the store: Mud Jug. 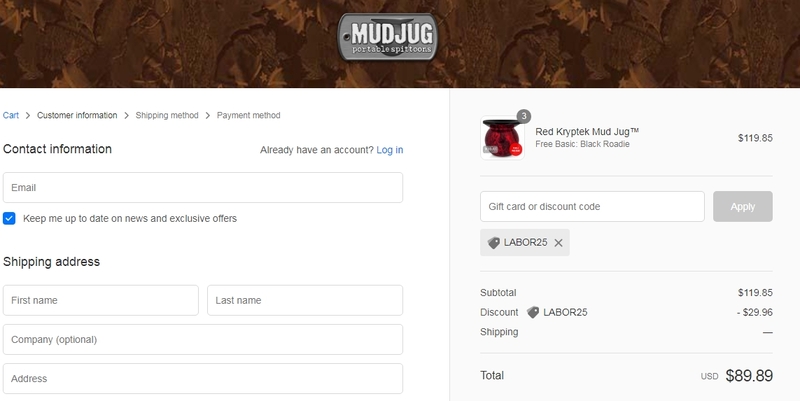 promo2save Get 25% off your order today when you use the code LABOR25 at checkout on Mudjug.com.